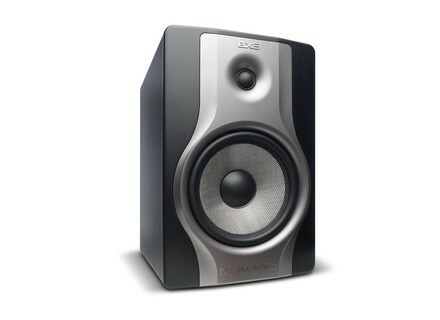 BX8 Carbon, Active Monitor from M-Audio in the BX Carbon series. 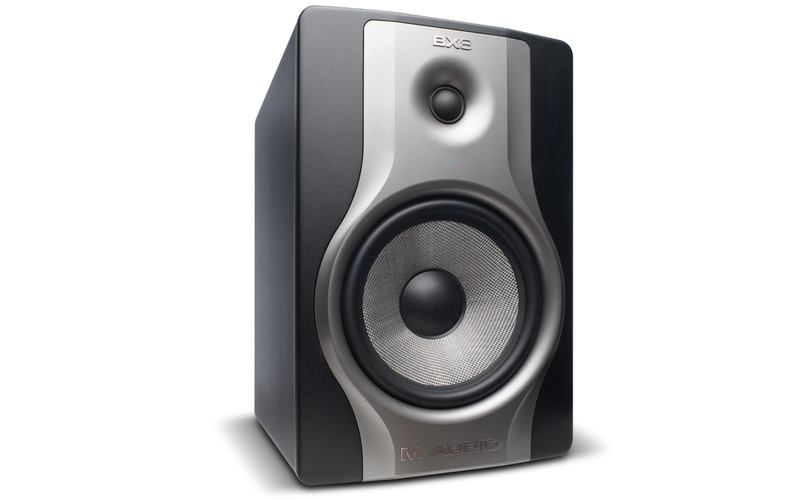 M-Audio will introduce tomorrow at the NAMM Show 2014 the new BX Carbon active monitor series, with three compact models. The BX Carbon Series in an evolution of the M-Audio BX models, and includes optimized Class A/B amplifiers, a flatter response, as well as a new waveguide for improved acoustic image and increased high frequency range. The BX Carbon Series comprises three monitors, each featuring an Acoustic Space control to adjust the low-end according to your listening environment. The three M-Audio BX Carbon active monitors will be available in the next days, with street prices of $149.99 / 89.99€ / £109.99 for the BX5 Carbon, $199.99 / 119.99€ / £109.99 for the BX6 Carbon and $249.99 / 139.99€ / £169.99 for the BX8 Carbon. [NAMM] Sennheiser Laser Drum Microphone Sennheiser will showcase tomorrow at NAMM 2014 a new microphone concept for drums that uses laser technology. [NAMM] The BBE Sonic Maximizer in 500 format BBE introduces the new version of its Sonic Maximizer processing module in the API 500 format, which will debut tomorrow at NAMM 2014. [NAMM] Bogner pedals with Rupert Neve transformers 2014 marks Bogner's 25th year attending the NAMM and they are keen to celebrate it.